All around us are natural remedies waiting to be used. I remember a time when a friend called on the phone. While we were chatting, she remarked that she had just been stung by a wasp and did it ever hurt! A remedy came to mind that I had read about, and so I asked if she had any plantain in her yard. She did. So I suggested that she might try picking some of the leaves and crushing them, make a poultice to put on the sting site. Sure enough, it worked to soothe the hurt in a matter of minutes. My herb book says it can also be used to stop bleeding. 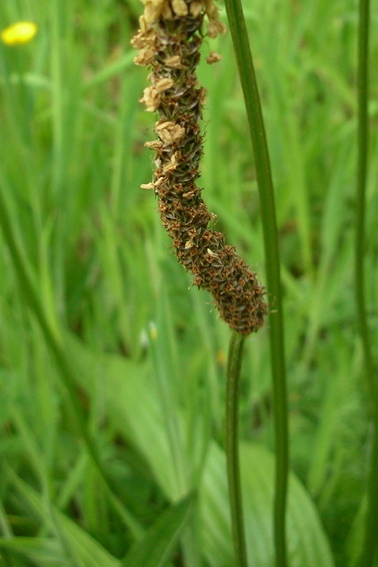 Plantain has strong broad leaves with parallel veins, growing fairly flat to the ground. Each plant has a small heather-like flower grouping atop a tall stem. They are easy to spot. Another common plant is the chamomile with small green cone flowers and a feathery stem. Use the fragrant green flowers in a tea, and then lean back in your favorite arm chair and let the soothing tea help you relax. Some folk I know like to pluck the flower heads and chew them. Try planting a herb flower bed. There are books on herb gardens with beautiful pictures to whet your appetite. You can have the fun of planting as well as using the herbs for both landscape and health. We've all heard of fiber foods, what they are, and what they do, right? There's nothing as thirst quenching as water. Walking can do wonders for you.